Buy $200 worth of select products and receive both Free Shipping and 25% Off select cold-storage reagents. Terms and Conditions: Offer valid only for items listed on this flyer in the indicated format. Valid Jan. 1, 2019 through June 30, 2019. Taxes and shipping extra (when applicable). 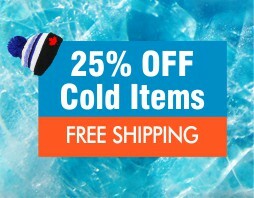 Promo code COLD19 must be used to to receive promotional pricing + 25% Off our cold-storage reagents + free shipping. Prices listed are in CAD and offer is only valid for clients within Canada. Cannot be combined with any other offers. Orders must be placed directly through Bio Basic or a qualifying Biobar. Orders placed through stores or distributors are not eligible to receive this offer. For assistance in placing an order via PO using this promo, please contact us at support@biobasic.com.